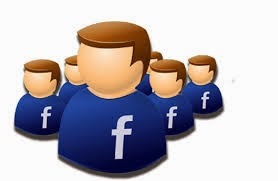 In Facebook, the fan pages that admin or the owner creates, if has genuine fans who follow, contacting them is made possible. Say for example, you run a competition on your fan page in which your fans took part, then one who wins should be congratulated or sent a direct message or contacted directly. In such cases, a question arises for admins as to how to contact a specific fan directly without using personal Facebook account. Simple way to handle this situation is to create a post that congratulates the winner of the competition using the profile picture of him or her. People who have liked your page will definitely see it in their wall.